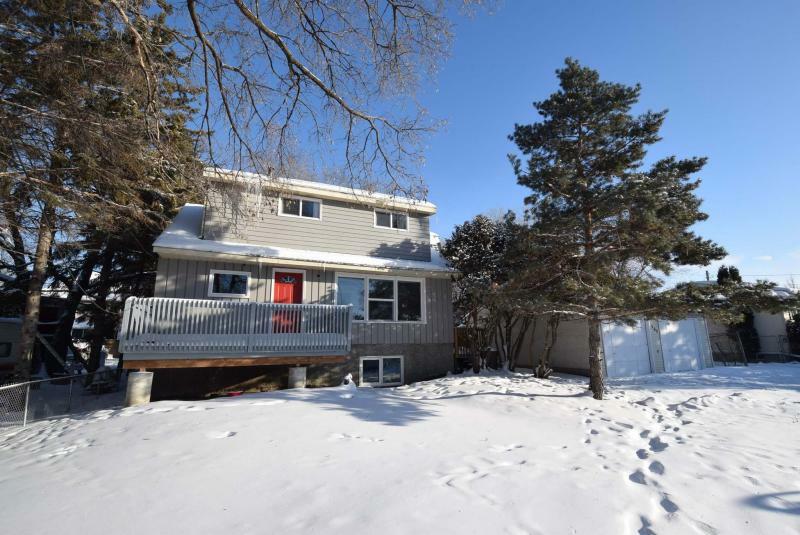 This 1,630-square-foot remodelled beauty in Charleswood is surrounded by mature trees, giving the home a country vibe. The spacious living room is the perfect spot for relaxing or entertaining guests. Large windows allow for plenty of natural light in the dining room. A quartz countertop and stainless steel appliances give the kitchen a modern look. Not every growing family can afford to buy a new home in one of the city’s new, cutting-edge communities. With prices of new homes starting in the $450,000 range, it is indeed a challenge to find a home that’s both family-friendly and affordable. Consequently, families must turn their search in the direction of a resale home that’s affordable and, if possible, reasonably contemporary. While affordable family homes are often found lacking in contemporary features, Jennifer Queen of RE/MAX Professionals says she has a listing that possesses both qualities. 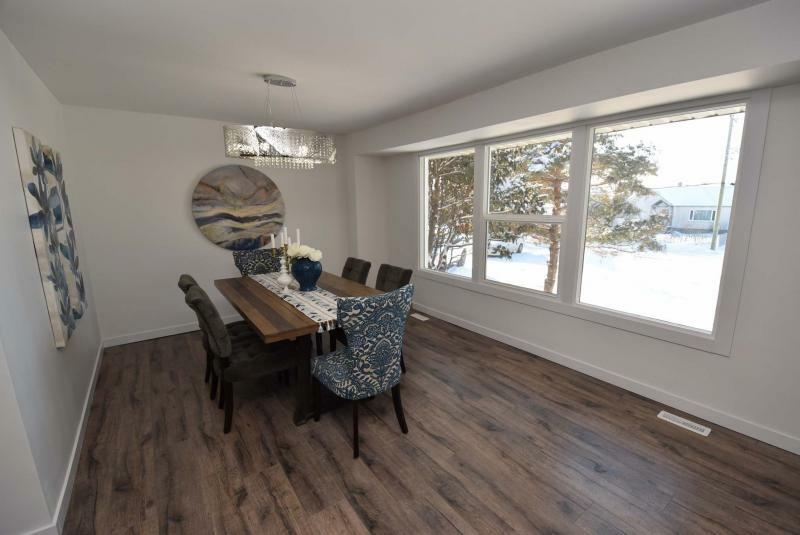 "At $389,900, this thoroughly-remodelled home, which is situated on a spacious 75-ft. by 135-ft. lot in the heart of Charleswood, offers exceptional value. 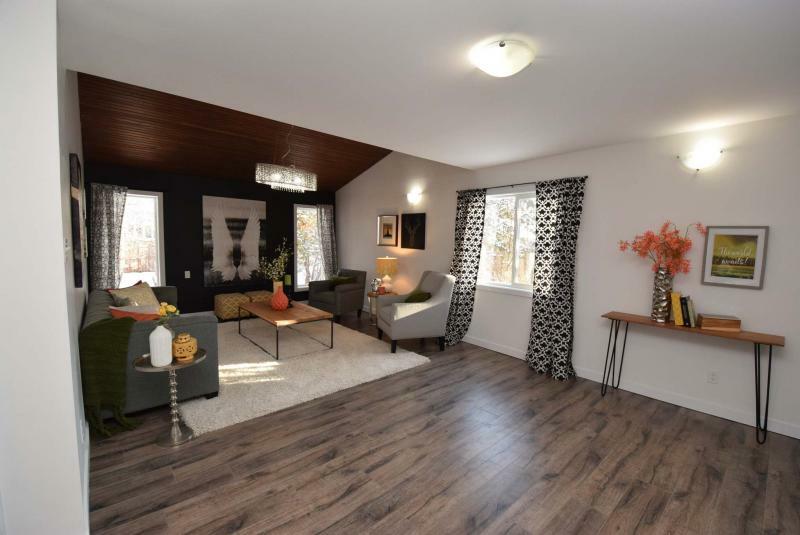 It was completely renovated in 2018 and is in move-in-ready condition." That said, one of the most impressive things about the two-storey, 1,630-sq.-ft. home is its location. While you feel as if you’re in the country — the expansive lot is surrounded by a gorgeous collection of mature trees — you’re actually just minutes from a host of amenities. 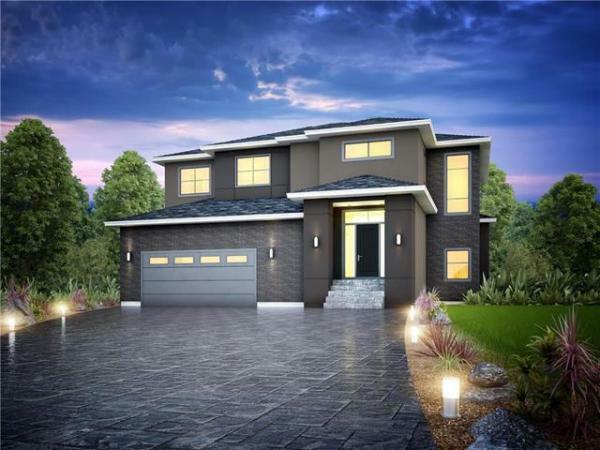 "The home is near Grant Avenue with Charleswood Shopping Centre, with Safeway and Shopper’s Drug Mart, as well as services and restaurants, just a minute or two away. 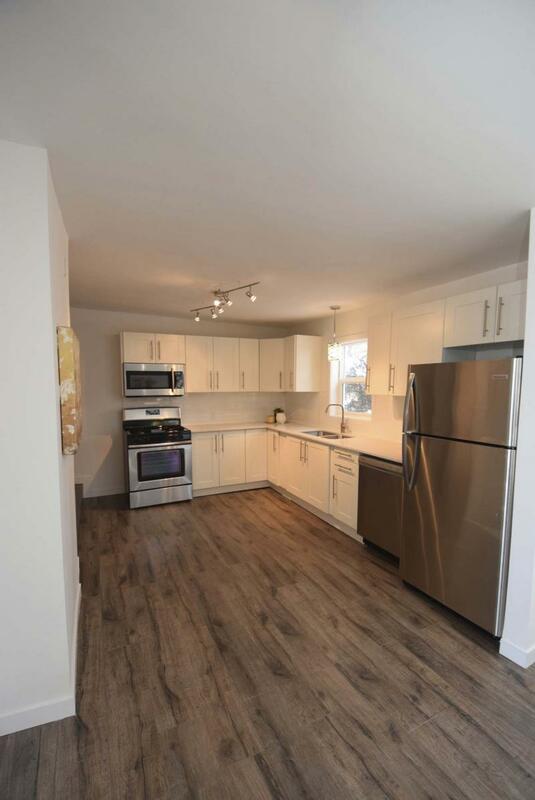 You’re also close to schools, transit, parks, community centres and walking trails and the nearby Moray Bridge gives you quick access to Portage Avenue. It’s a location that’s perfect for a young family." Correspondingly, the home itself is also very family-friendly. "I really like the home’s layout, it really suits a young, active family," Queen says. "The main living area is a great example. You can be working in the kitchen, yet have your eyes on the kids playing in the living room, which is open to the kitchen. Sliding patio doors behind the dinette area also lead out to a deck and huge, fenced backyard that the kids can play in, too." She adds that the home’s upper level is just as functional. "It’s a very impressive area. All three bedrooms are larger than normal, including a spacious master suite with vaulted ceiling and two big secondary bedrooms. There’s also a remodelled four-piece bath and an open area with window next to the bedrooms. It could be used as a play area or office space." Head back down to the main floor, and you can’t help but notice just how contemporary the main living area is. New ash-style wide-plank laminate flooring which runs through the entire main living area gives it a warm feel with its texture and soft taupe hue, while finishes in the kitchen and formal dining room combine to produce a thoroughly modern look and feel. "The kitchen is a beautiful, functional space that features high-end finishes such as off-white quartz countertops, modern white shaker-style soft close cabinetry, a white subway tile backsplash and stainless steel appliances," Queen says. "And the dining room is an amazing space with all its natural light, space for a table for eight to 12 and a mod chandelier." That decidedly modern feel is then offset perfectly by a cosy living room that’s surrounded by large windows. "I just love it. Its vaulted ceiling, which is lined with warm oak panelling has plenty of room for furniture and a TV. The windows let in lots of natural light and provide you with views of all the trees out back. With the way the kitchen, dining room and living room open on to each other, the area is not only ideal for family life, but entertaining as well." Queen says the like-new home, which also comes equipped with a detached double garage and basement with rec room and huge flex space, is a viable alternative to buying new. "This home represents a wonderful opportunity to get a remodelled, family-friendly home in a great location for significantly less than you’d pay for a new home. You don’t have to buy appliances, there’s a newer high-efficiency furnace, and there’s already a rec room downstairs," she says. "All a growing family would need to do is move in and enjoy life in Charleswood." Open House: Sun., Feb. 3, 1-3 p.m.